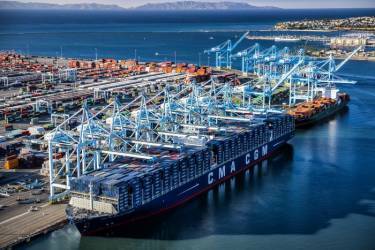 The Port of Los Angeles is a port complex that occupies 7,500 acres of land and water along 43 miles of waterfront. The port is located in San Pedro Bay in the San Pedro and Wilmington neighborhoods of Los Angeles, approximately 20 miles south of downtown. 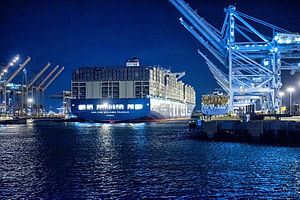 Located at the Port of Los Angeles, Berths 196-199 are used as an auto terminal with a large railyard for loading and unloading of auto racks. Because of the age of the structure and its current condition, rehabilitation has been deemed necessary. The scope of the rehabilitation included concrete wharf repairs consisting of over 120,000 square feet of asphalt concrete replacement as well as repair of approximately 1,600 joists and 60 timber piles. In December of 2017 and again in March of 2018, Portland Bolt manufactured the required fasteners needed for the rehabilitation. The required bolts varied in configuration. There were approximately 1,500 drift pins as well hex head bolts and hex lag bolts. In total, over 6,000 pounds of bolts were supplied. The material grades were a combination of ASTM A307A as well as type 304 stainless. Because of the marine environment, all of the A307A bolts were hot-dip galvanized, which is a process Portland Bolt performs in-house.